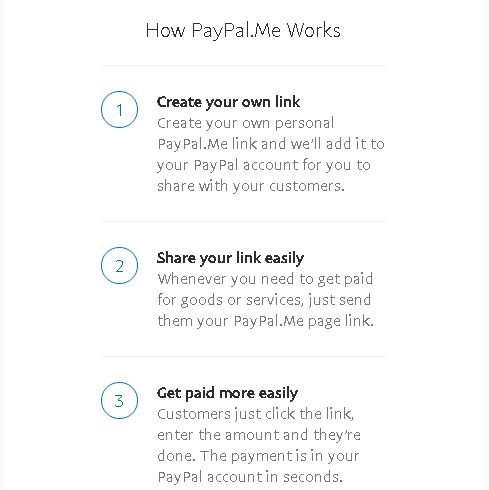 Just visit PayPal.Me to create your page. If you already have a PayPal account, you’re all set. If you don't, it's quick and easy to sign up. 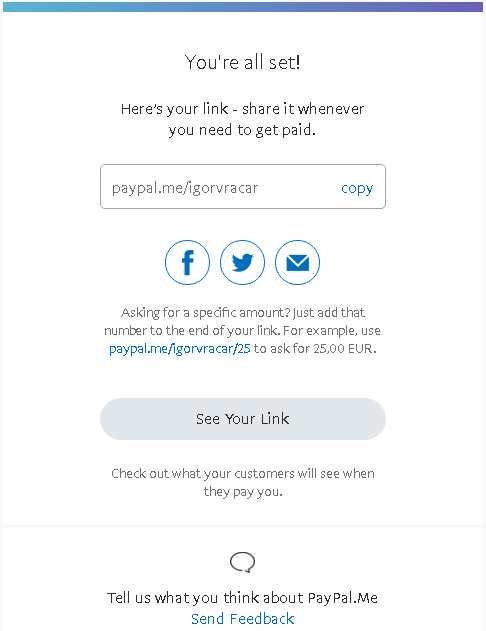 When you choose the link, you will be transferred to the PayPal login page, log in there to continue. 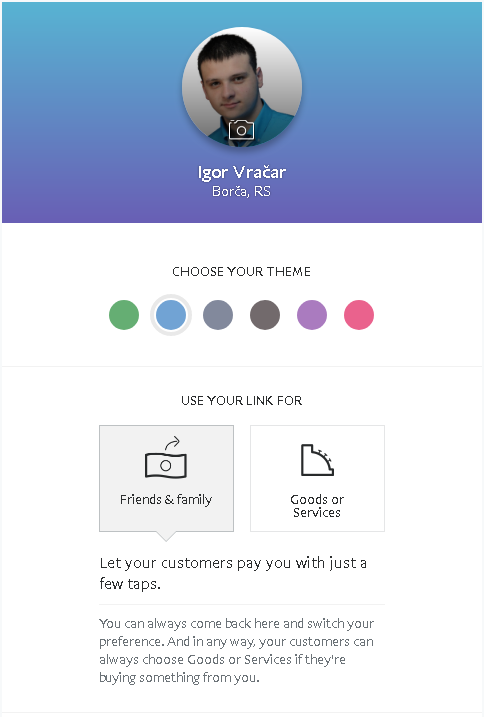 Set your profile image if you prefer, and you will have a chance to decide on the link one more time. 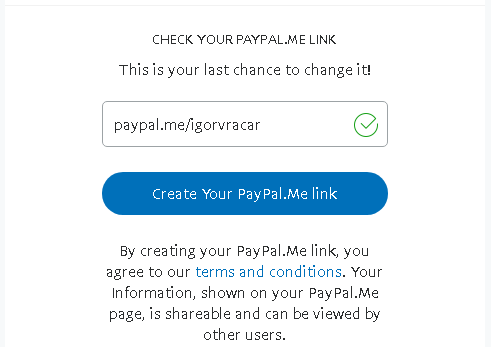 Once you create your PayPal.Me link in this step, you won’t be able to edit it. So choose carefully! That's it. 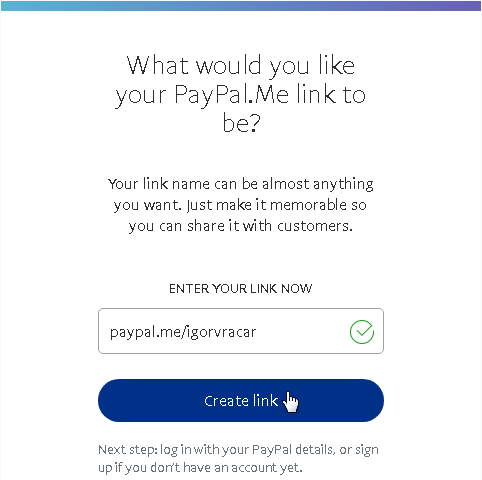 Your PayPal.Me link is created.